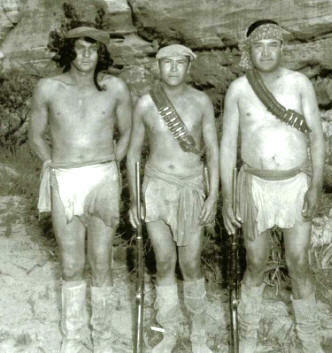 Notes: Bob made his screen debut in this action-packed Western where he played uncredited roles as an Apache and a Trooper, as well as performing stunts. 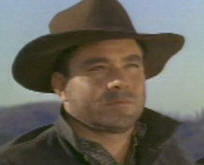 Fellow HC stunt man Walt LaRue also participated in this film. Notes: Bob plays "Carpenter", a hapless ransom note carrier who is intercepted by Paladin. 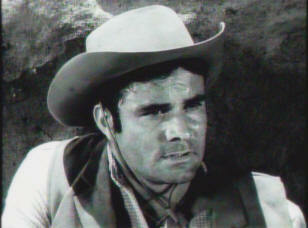 After a number of acting and stunt roles on the big screen, this is Bob's first of many guest appearances on television Westerns. Notes: Shot at the height of the High Chaparral series, this film included both Bob and fellow HC cast member, Don Collier. 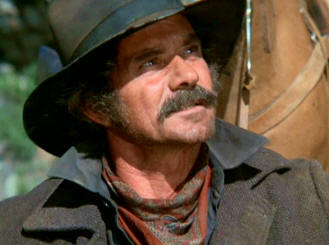 Bob plays Otis, a deputy marshal who is shot and killed by Don's character, Rowan, a hot tempered gold miner. A host of other HC guests can be spotted here including Yaphet Kotto, Denver Pyle, Ted de Corsia, Roy Jensen, Jerry Gatlin, Red Morgan, and Bill Fletcher. 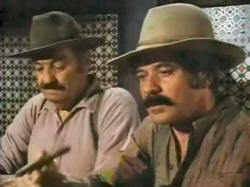 Red Morgan and Jerry Gatlin also contribute stunt work. 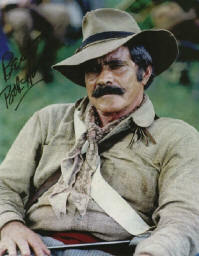 Bob as hired gun, "Little Billy Ford"
Notes: Bob plays one of a group of hired guns brought in by the corrupt town boss near the end of the film. The role has several scenes, but no lines. 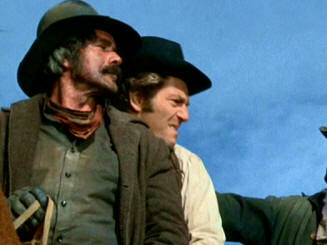 HC guest actors, Jack Elam and Myron Healey also appear in this production. 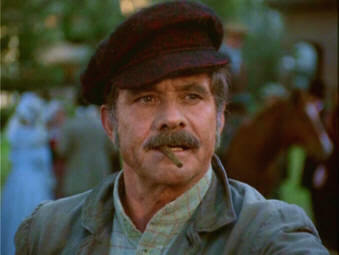 Notes: Bob plays "Lee Christie", the hired man for Jack Parker, a newspaper man who is sponsoring a 700 mile horse race just after the turn of the century. 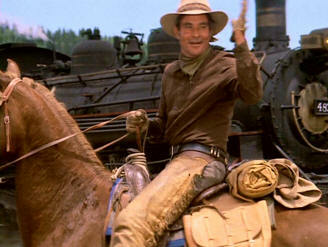 While not a major character, he does deliver some significant lines and gets to demonstrate his horsemanship here. Might be hard to spot him at first without his mustache. 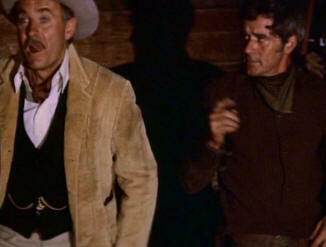 Other HC actors include Robert Donner and Jerry Gatlin, who is also credited for stunt work. 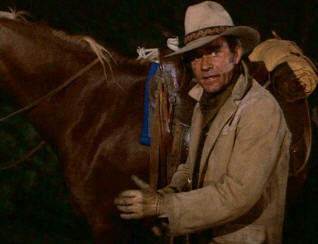 Bob with George Segal on horseback. Notes: Bob plays "Ingersoll", a member of the Bloodworth gang that is chasing the lead couple across California and Nevada. Bloodworth is played by HC guest actor Roy Jenson and he and Bob have lots of menacing but humorous interactions. Other HC actors include E.J. Andre, Richard Farnsworth, Jerry Wills, and Jerry Gatlin with stunt contributions from Steven Burnett, Walter Scott, and Jerry Gatlin. 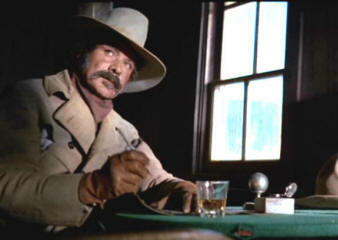 Bob as the Texas Ranger preparing the avadavat swearing Josey Wales to be dead. 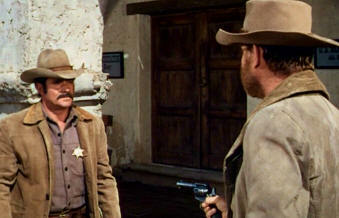 Bob walks past Clint Eastwood as Josey Wales, believing him to be "Mr. Wilson". 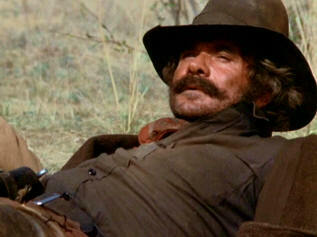 Notes: Bob plays "Texas Ranger #2" in this outstanding Clint Eastwood tale of revenge and redemption after the Civil War. 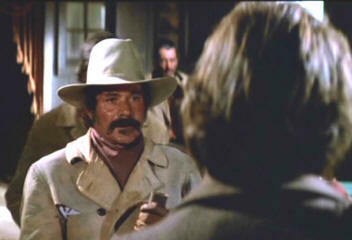 Bob's character is played mostly in shadow as he supervises the signing of the avadavat declaring Josey Wales dead as Josey Wales stands on watching. 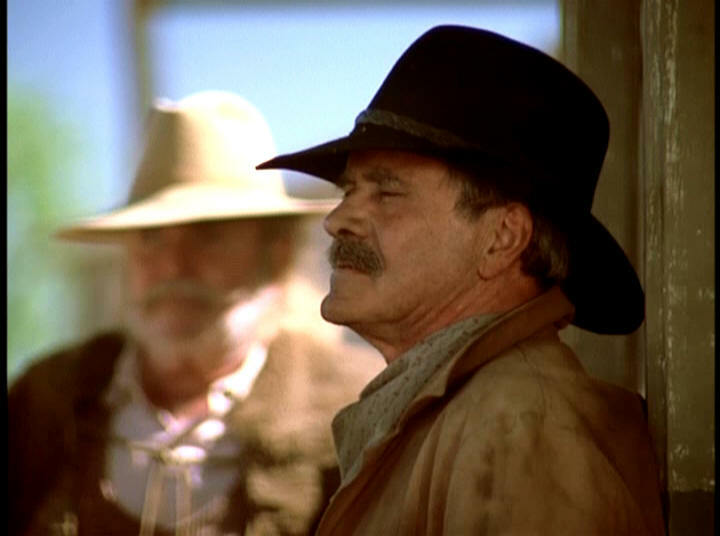 Other HC actors include Chief Dan George, John Vernon, both in lead roles, as well as John Davis Chandler, John Quade, Charles Tyner, and Richard Farnsworth. 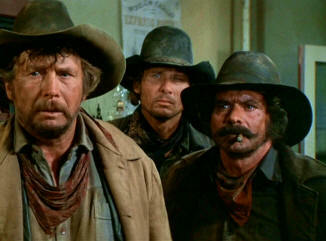 HC stunt men included Walter Scott, the stunt coordinator, along with Neil Summers, Jerry Gatlin, and Bear Hudkins. Bob as "Fighting Man at the Station" Bob gets in a fist fight with Patrick Swayze. 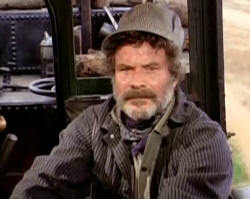 Notes: Bob plays an Irish union ruffian in the first episode of this award-winning, 8-hour mini-series. 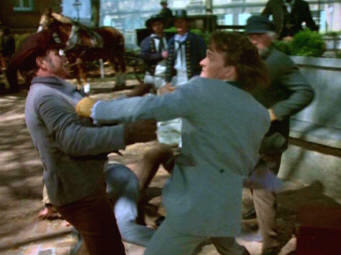 He has a fight scene with Patrick Swayze's character and is credited for stunts in the series along with othe HC stunt men, Loren Janes, Walter Scott, and Jerry Wills. 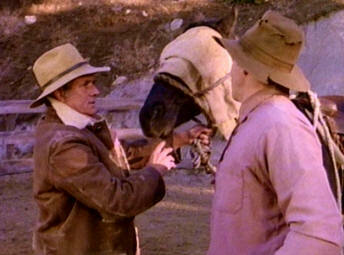 HC guest actors Mitch Ryan and Walter Barnes also had acting roles in this series. 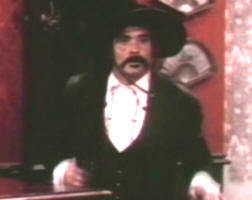 Notes: Bob played "Col. Burleson" in this biographical tale about Sam Houston. 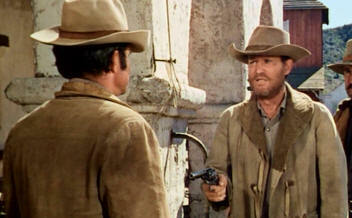 Other HC actors included Donald Moffat, John Quade, and Ned Romero. 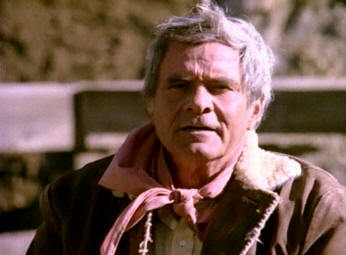 Notes: Bob plays Ponderosa ranch hand, "Feathers" in this next generation story about the Cartwrights at the turn of the century. 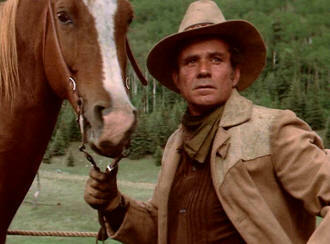 Filmed shortly after the death of Lorne Greene, it included roles for his grandaughter, Gillian Greene, and for Michael Landon's son. 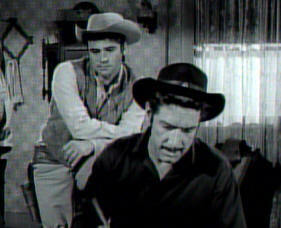 Neither of them went on to do much more as actors although Michael Landon Jr. has seen success as the director of the Hallmark series of television Western movies that began with "Love Comes Softly". HC actors and stunt people involved in this Bonanza production besides Bob included Kevin Hagen, Jerry Gatlin, and Jack Lilley. Notes: Bob plays 'Flint' in this episode about a crooked Indian Agent who tries to frame the Indians for his own profits. 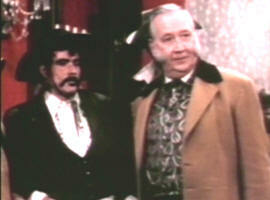 Fellow HC cast member, Don Collier, had a regular role in this series as 'Tompkins', the shop keeper, although he does not appear in this episode.